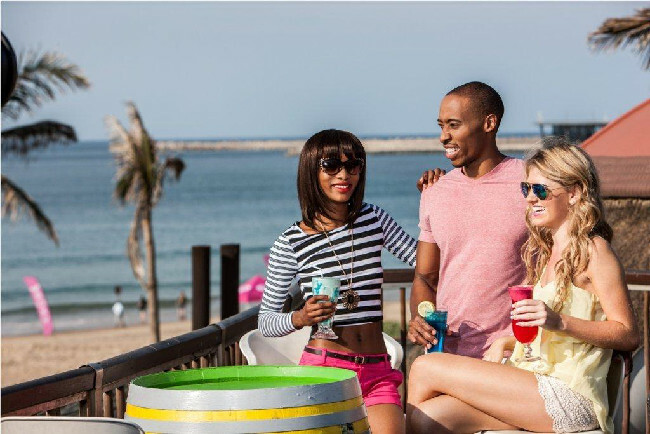 The Coolest Breakfast, Lunch & Cocktail Venue on the Promenade! 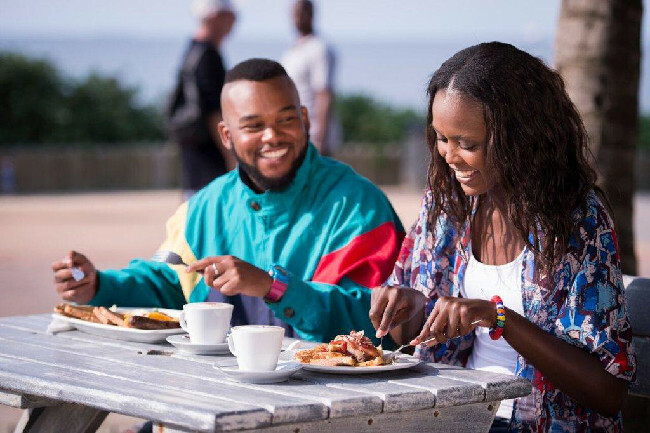 Wahooz – the coolest brunch, lunch, coffee spot and cocktail venue on the Promenade – recently enjoyed a makeover with a delicious new menu to go with it! The make-over included a whole new paint job and features awesomely cool fish murals on the walls as well as spiffy new tables for diners. For early birds heading down to Wahooz, there are scrumptious breakfast specials, featuring something for everyone from brekkie burgers, island breakfasts, veggie breakfasts and even peanut and berry bowls. Light snacks for the not so hungry include chicken strips, riblets, salads and nachos, amongst others. Diners can also get a bite of a variety of burgers and wraps featuring chicken, beef, veg and falafel options - as well as toasted sandwich options- so yum!! Other new editions to the menu include a meat lovers board; veggie baskets; seafood short board for one and seafood long board for two featuring prawns, hake and calamari; fish and chips; grilled tiger prawns or crumbed calamari. 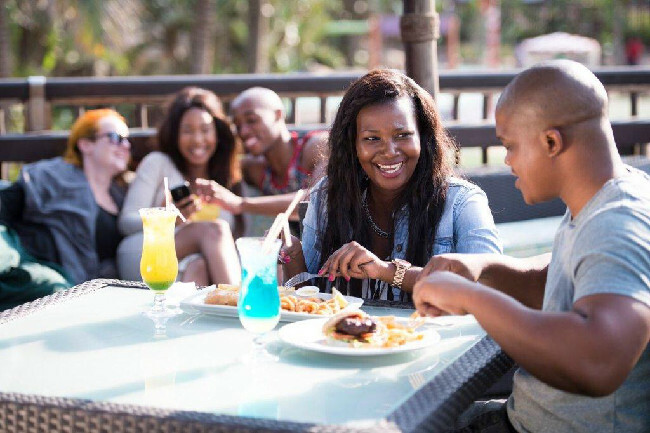 There is also a weekend menu featuring some Durbz favourites like peri peri chicken, chicken and prawn curry as well as a special weekend bunny. 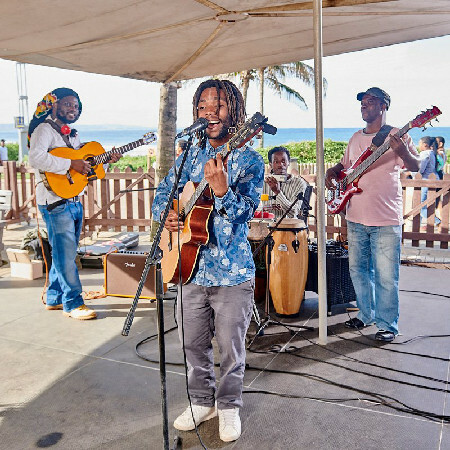 For those hanging out at Wet & Wild, catch weekly live acts each and every Saturday and Sunday afternoon, making this a music venue complete with alfresco dining, a chilled cocktail selection and a great beach vibe. 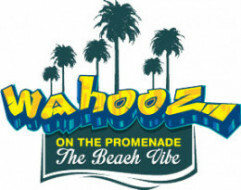 It’s time to get out and enjoy the long days and short nights so come and enjoy the beach vibe at Wahooz. 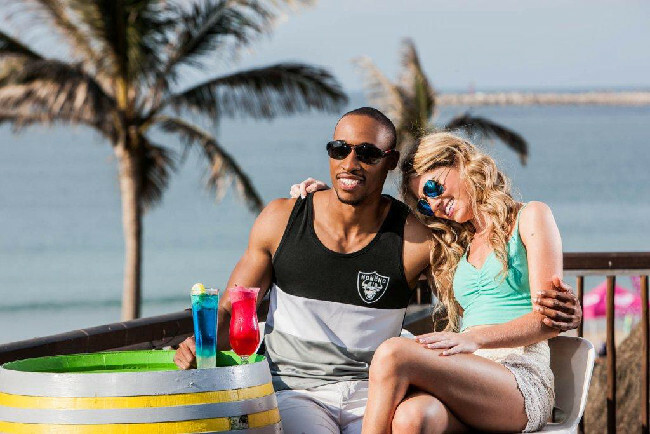 Dress code: It's all beach style! Open from 7:30am for breakfast till the Park closes... or 8pm during Festive Season.